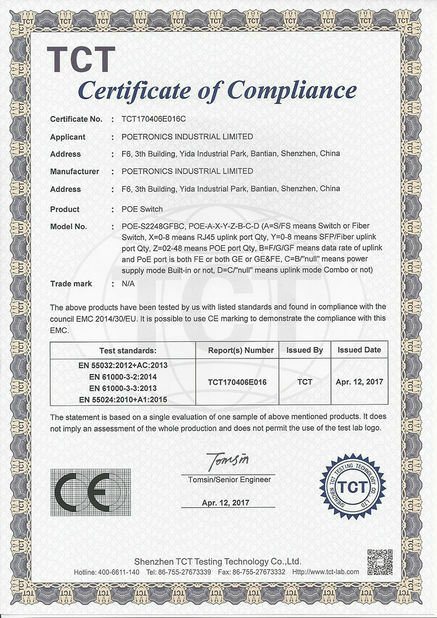 POETRONICS INDUSTRIAL LIMITED, established in the background of 7 years’ experience in switch mode power supply and increasingly rapid growing demand of market in Power over Ethernet (PoE) based IP Video Surveillance, Wireless Access Point (AP), VoIP Phone and Portable Devices, etc. With a commitment to providing practical, expert and cost-effective PoE, power supplies for security CCTV, network systems and others ever require either of these two different power supply modes and solutions accordingly, POETRONICS has been researching, developing and manufacturing comprehensive range of PoE products, Switching power supplies. Our core range products consist of PoE Switch, PoE Injector/Adapter, PoE Splitter and PoE Extender, Switch mode power supply, Power supply adapter and also CCTV accessories which will be ever needed. Backed by perfect pre-sales and after-sales service, thoughtful OEM/ODM service, higher cost-effective products, and always be on hand to offer additional comprehensive and the best logistics solution at an absolutely competitive cost, POETRONICS dedicated to do business following by “Customer First”, and base on a process “From Partnership to Friendship”. The dedicated team here at POETRONICS aim to work with you to best understand the requirements of your business and are committed to excellent service, advice and problem solving. 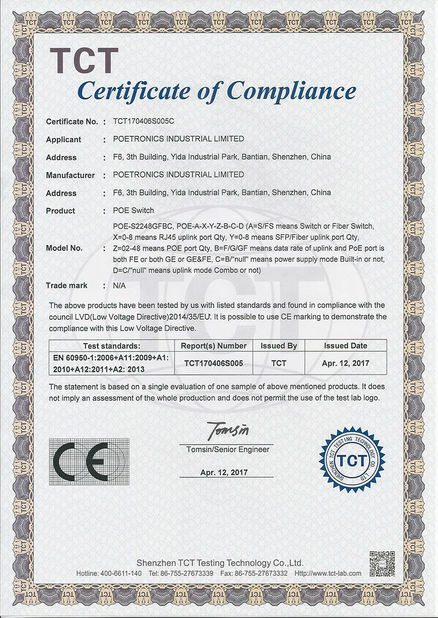 The owner of POETRONICS had been engaged in switching mode power supply (SMPS) for Security Closed Circuit Television (CCTV) for more than 6 years before we focused on Power-over-Ethernet, during that past 6 years working on CCTV, he found it has become more and more intelligent and is gradually networking. So, people can watch the real-time image far away from home, factory, company office, etc. at where is network accessible by PC or smart phone, a practical example is that exhibitors can show each visitors remote factory real-time operation at any exhibition center around the world. From this point of view, the conventional switching power supplies will be replaced by a new type of power supply transmission over Ethernet cable gradually, and most of the digital system built in an Ethernet cabling structure, so if we inject the power over Ethernet cable, then more and more electric wires can be saved, as there are 8 pins or 8 pieces of wires in a standard Ethernet cable, which on the other hand will save lots of times in installation and bring more labor cost saving. So, we started to place more attention to the power supply over Ethernet cable and it’s simply called PoE (Power over Ethernet) about 7 years ago. Up to 2017, we have researched and developed more than 34 types of PoE Switches (including 4 port PoE Switch, 8 port PoE Switch, 16 port PoE Switch, 24 port PoE Switch and even 48 port PoE Switch), 43 types of PoE Injectors/Adapters (both passive and active-IEEE802.3af/at compliant), and some accessories like PoE PSE (Power Source Equipment-PoE Injector/Adapter), PoE PD (Powered Device-PoE Power and Data splitter), PoE Extending Hub device. Meanwhile, we still keep R&D and manufacturing conventional SMPS including power supply with both metal and plastic enclosure, all of them come with CE, RoHS and FCC. POETRONICS is built to run 100 years at least though it’s still at infancy stage. The key value of its existence is creating the biggest value for our cooperative partner in PoE and switch power required industries around the world, which through the whole business procedure and a lifetime of cooperation. 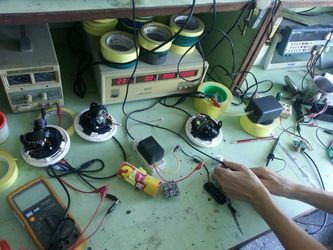 POETRONICS is established to provide power supply solution primary for security CCTV industry and Ethernet networking applications, especially up to date electronic and electrical developing faster than ever before. 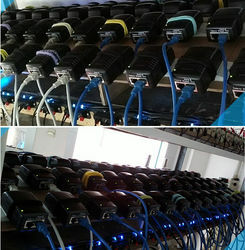 So the key power supply modes we are focusing are switching mode power supply method and Power over Ethernet method, which have been driving us to go further and better in the power supply industry, nevertheless, we still need to do more so as to always make ourselves professional, helpful, thoughtful in regular touch with our customers. Sometimes, custom-made products are popular in the market, so OEM/ODM has already been an important part of our extra service, meanwhile, international express door to door delivery, air or sea shipping are also available according to actual order condition. 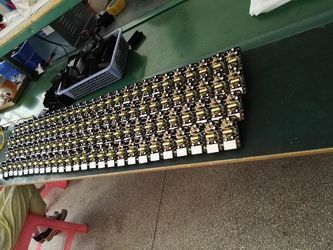 In addition, now most parts of existing CCTV system are analog type, it requires so many CCTV accessories like BNC/DC Connector, Video Balun, Multi-channel Power Supply, Power supply adapters, Cable, DC/AC Cord Lead, Tool, etc. 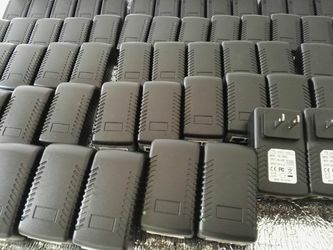 for maintenance and extension of existing surveillance system, so we have a dedicated team here at POETRONICS in Shenzhen always focusing on this sourcing project, all these CCTV system related accessories customers order from us must go through rigorous test before sending out of our CCTV factory. People here in POETRONICS are not the smartest but cooperate with each other in the most unity level. Our teams have been co-operating for more than 6 years since we established. 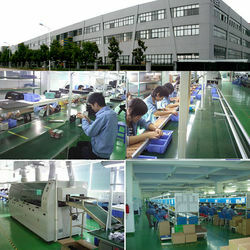 Large numbers of our team members have extensive experience working in CCTV industry and expert operational experience. 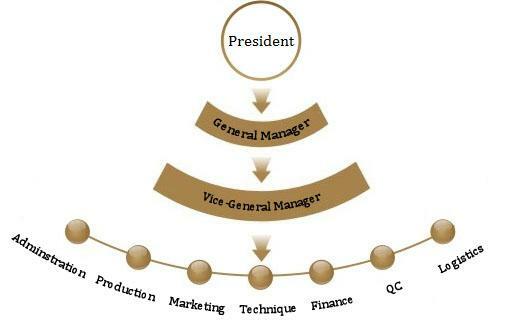 Every quarter, we hold a senior team outward development training, so we are getting more and more harmonious, unitive and powerful personnel strength. Every team members here are always focus on “Details” and dedicate to perform highest efficiency work, helpful and valuable to our client and our company. Our dear customers can be rest assured to give your order to our team, then we will go all out to do a perfect job in return.